Underground Cinema is a secret, live, immersive film screening experience held in undisclosed locations in Melbourne and Sydney. 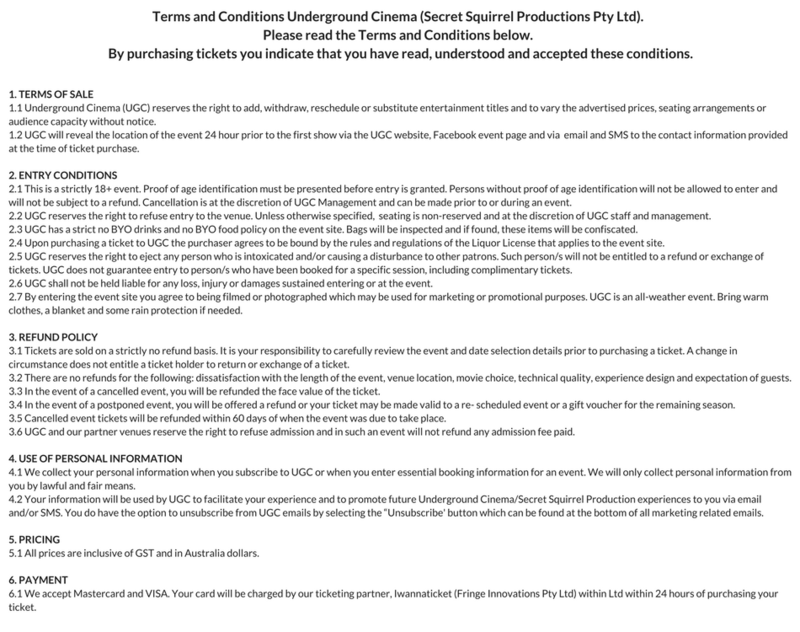 Now in its ninth year, Underground Cinema returns to Melbourne with their unique, secret live film screening experience. Using actors, detailed sets and costumes, they've immersed you in over 40 secret worlds; from the fast paced world of Wall Street to training at Quantico for Silence of the Lambs, they've ensured your survival during the zombie apocalypse in 28 Days Later and helped you seek safe passage in World War 2, Casablanca. ** Please note: All shows are 4+ hours long including the live experience. This is NOT just a movie. This is a strictly 18+ event. 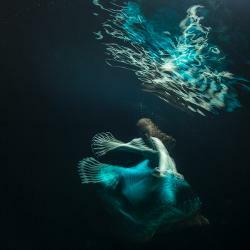 Themes explored in this event can sometimes be of an intense nature. UGC is a participatory experience, guests can at times be separated for individual journeys. Tickets will not be refunded due to displeasure with the explored themes, temporary separation from fellow guests or selection of secret film.